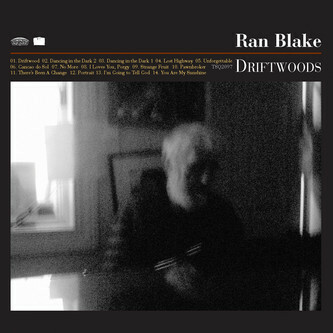 Momentarily abandoning its preoccupation with the guitar, the Tompkins Square label presents this new collection of solo piano pieces from the incredible Ran Blake, who draws on music by his all-time favourite singers, with songs like 'Strange Fruit', 'Lost Highway', 'Unforgettable' and 'You Are My Sunshine' all subjected to marvelously free-roaming re-interpretation. "Ran Blake is an iconoclast. 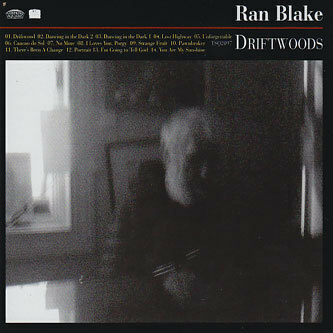 Since his 1961 collaboration with Jeanne Lee on RCA, Ran Blake has released 35 albums on such labels as ESP, Soul Note, Arista and hatOLOGY. His 2006 album on Tompkins Square, All That Is Tied, received 4 stars in Downbeat and earned the top award for excellence in the 2007 Penguin Guide to Jazz. Penguin's editor Brian Morton and Wire Magazine hailed the record as a 'masterpiece.' For his new solo piano album, Driftwoods, Ran salutes his favorite singers, interpreting songs popularized by Billie Holiday, Mahalia Jackson, Hank Williams, Nat King Cole and more."